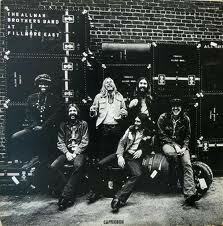 Rock's greatest live double LP is an unbeatable testimony to the Allman Brothers' improvisational skills, as well as evidence of how they connected with audiences to make jamming feel communal. "The audience would kind of play along with us," singer­organist Gregg Allman said of the March 1971 shows documented here. "They were right on top of every single vibration coming from the stage." The dazzling guitar team of Duane Allman and Dickey Betts was at its peak, seamlessly fusing blues and jazz in "Whipping Post" and "In Memory of Elizabeth Reed." But their telepathy was interrupted: Just three months after the album's release, Duane died in a motorcycle accident.